Epping Forest is the most obvious open space near Chingford, but I am going to look at the municipal parks. We start our exploration in the south east with Highams Park (which is part of Epping Forest) and The Highams Park. These are parts of a lost Repton landscape of about 1790; the house remains as a school. Highams Park has a large boating lake formed by damming the River Ching. It was bought by the Corporation of London in 1891 and added to Epping Forest.The Highams Park was purchased by Chingford Council and during the war and until 1961 it was occupied by prefabs; the foundations of these limits what can be done in the park and made the formation of an arboretum impossible. It is nevertheless quite well wooded and has some play equipment. It also has a mystery building that is probably something to do with utility supply. It has been painted in a mock Tudor pattern, which has suffered from forbidden ball games played against it. There are several points of access between the two parks. Larks Wood is a large remnant of ancient woodland. The north west part is playing fields and a new leisure centre and swimming pool are adjacent. Ainslie Wood is a fragment of Larks Wood and has only recently been opened to the public. Both woods have oak, hornbeam and wild service, indicative of ancient forest. Ainslie is locally known for its spring display of bluebells. Chingford Mount Cemetery was set up in 1884 by Abney Park Cemetery, but by 1975 the Abney Park group of cemeteries had become financially inviable. A new owner proposed building houses on the unused land, but this was opposed. The Cemetery became run down and the lodges and chapel were destroyed by vandals. In 1976, the Cemetery was given to the Council and has been much improved, including a new office building in red brick with some wood cladding. It is managed on the lawn cemetery model, with headstones placed back to back so there is about 12 feet between rows of markers, which allows for machine mowing. The management seems to be tolerant about minor spreading of flowers and other mementoes. The bodies from Whitefield's Chapel, Tottenham Court Road, and Ram's Chapel, Homerton, have been re-buried here. Chingford is the last resting place for the Krays. Over the road is the Old Church, which dates from the Middle Ages but was rebuilt in the 1930s using much of the old material, as the surrounding area was developed for housing. Pimp Hall Park is located on the former land of the sixteenth-century Pimps Hall, and there was a working farm up to 1934 when the Council bought it. Parts of it were used for allotments and the council's own nursery. Located at the top of Friday Hill, the park has an open grassy place with some play equipment for young children. The land slopes steeply so is not much use for ball games, but it does give good views of Chingford. The productive parts of the park are now a nature reserve, described by its Friends group as 'a hidden gem in the centre of Chingford'. 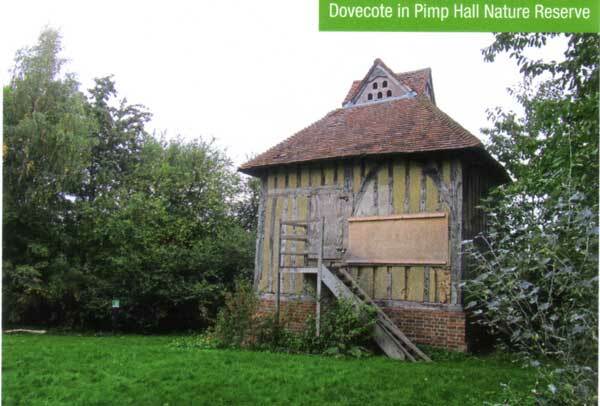 The site of the farm and the barn are marked out with gravel and the dovecote is still more or less intact. There is a circular walk with interpretation points where you can upload information onto your phone. 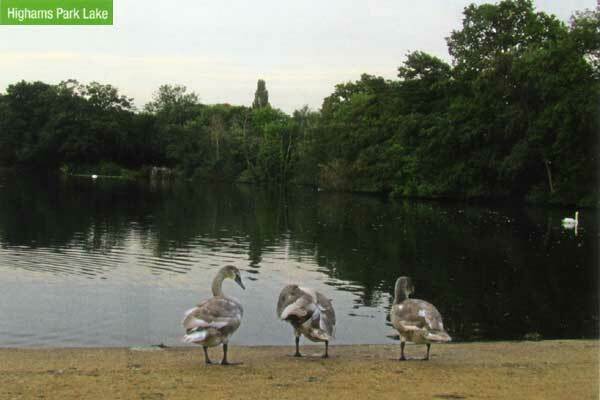 Ridgeway Park, awarded Green Flag status in 2011, is entered via a leafy path and has many attractions. 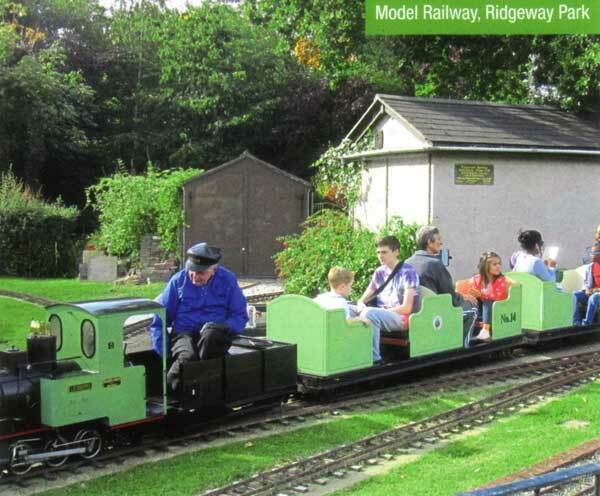 The Chingford and District Model Engineering Club, which started in the 1940s, run a miniature railway on Sunday afternoons. There is play equipment for young children, teenagers and a trim gym, as well as tennis courts and other sports areas. The park office wall has cartoon characters featured on it, perhaps recalling a visit by Walt Disney (a model train enthusiast) in 1954. Mansfield Park, just across Old Church Road, from Ridgeway, has been common grazing since Saxon times. The park appears small as you enter; there are some seats and a couple of flowerbeds planted with Japanese anemone, an unusual but effective choice. At the apparent end of the park is a gate opening onto an area of grass backed by woodland; from there a path leads down a steep hill to more woodland at the bottom. From the top, there are good views over William Girling Reservoir and King George's Reservoir. The ornamental iron entrance gates have a design incorporating the park's name and two leaping deer. Mansfield, Ridgeway and Ainslie Wood form part of the David Beckham trail put out by the Council some years ago. Chingford Green is at the centre of 19th-century Chingford and is an area of grass with some trees. Several old buildings surround it, making it seem a bit older and more rural than you would expect. 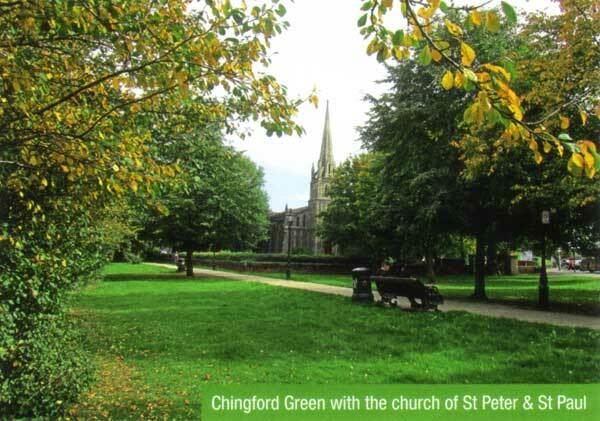 In 1844 a new parish church, St Peter and St Paul, was built on the Green. Lewis Vulliamy was commissioned to design the church, which has later additions by Sir Arthur Blomfield, in 1954 it was designated Grade II. The new church replaced Chingford Mount's All Saints, which dates from the late 13th - century; after recent restoration it stands as a beautiful reminder of Chingford's past opposite the cemetery. Nearby is the Catholic Church of Our Lady of Grace and St Teresa of Avila, also Grade II, which has a pretty formal garden. 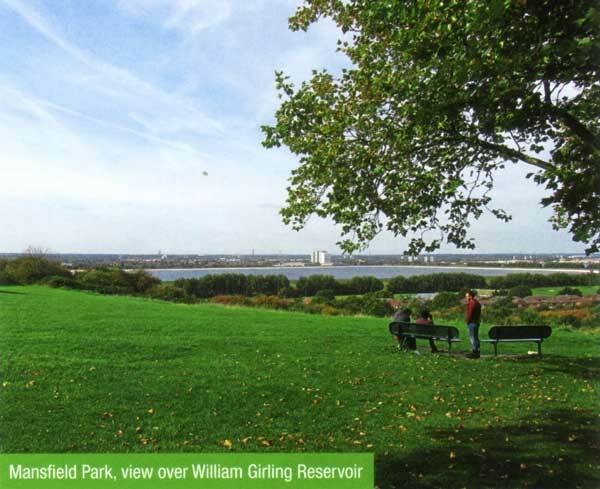 A park not to be missed in this sweep north is Memorial Park, which is off Chingford Mount. 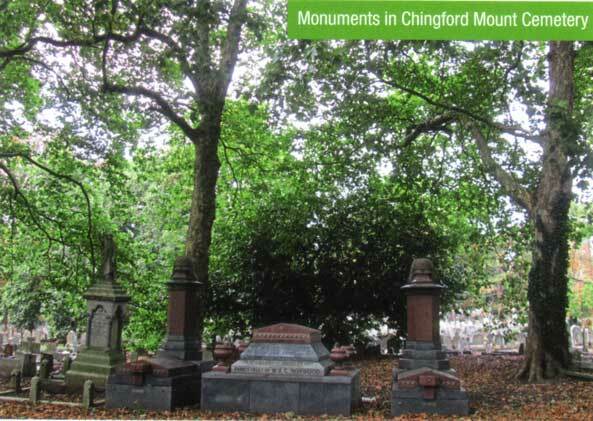 It was Chingford UDC's first municipal park. The park incorporated an existing small sunken garden with a memorial to those who died in the Great War. There is a pond with an area of formal planting, tennis courts and children's play equipment. Chingford, like many places grew with the coming of the railway in 1873. The original plan was to extend the railway through Epping Forest to High Beech, but this was stopped when the Forest was placed in the care of the Corporation of London. Epping Forest is still a major attraction, although the railway now takes more commuters to London, than Londoners to the Forest.